On the Independence Day, Kerala CM Oommen Chandy officially declared Kerala to be 100 % Digital State. Along with Digitalized state, it is also given as highest digital banking rate and 75 % of population are e-literate. CM, during his speech also mention that e-district programs, linking of aadhar card has played a vital role to make Kerala as the digital state. WiFi hotspots, at all government institutions and mobile governance across whole state. Startups from every state college students, major utilization of Bharat Net project. Virtual IT Cadre, to be set to check, the e-governance properly. In the loving memory of Dr. A.P.J. 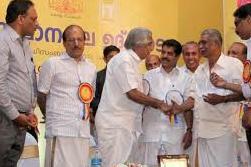 Abdul kalam, Kerala State announced to launch the program naming Dr.A P J Abdul Kalam Challenge. Digital India is modern dream from visionary central government. Kerala ranks first in many categories when it comes for literacy. Being first state for Digital India is another feather in cap for people from Kerala.